How many different ways can it be said? The Oklahoma City Barons can score goals. The key to winning games against them is stopping that from happening. Three of the top eleven scorers in the league are from the Barons side, including Taylor Hall, who had a hat trick against Texas in the last game between these two. Justin Schultz and Jordan Eberle co-lead the league in points at 43 each. 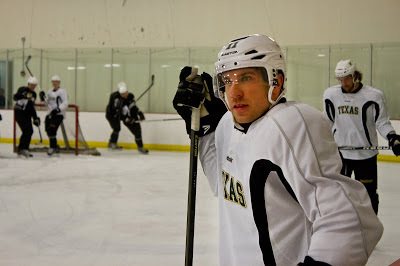 In the Stars arsenal, they are glad to have Cody Eakin back in the fold. The first line centerman was unavailable for the last game against OKC. He currently leads the Stars in both points (10-11-21) and plus-minus (plus-10). He has three points in four games against OKC this season. Colton Sceviour leads all scorers (3-3-6) followed by Maxime Fortunus with five assists. In the only game that Texas has won against OKC this year, they were firing on all cylinders. Nilstorp pitched a shutout, and the Stars had three goals. 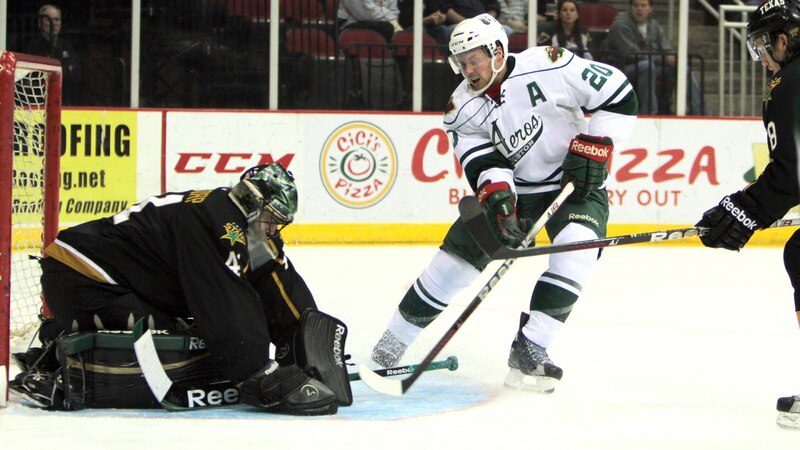 YOu don't have ot be perfect to beat the Barons; OKC lost to San Antonio on Saturday in a shootout. However, this year, it seems like Texas nearly does. The Stars are 9-15-0-1 all time against OKC and 5-8-0-0 all time at Cox Convention Center. Something about those Charlotte Checkers brings out the best in the Texas Stars. In three games, Texas has beaten the conference-leaders, all in relatively tight games. "Charlotte's got a real good team," said Coach Desjardins postgame. "Every game's been close and could have gone either way." After allowing the first goal, Texas stormed back with three straight to seal up a 3-1 win and break a three game losing streak. "We're both speedy teams and, for whatever reason, they bring out the best in us." Speed was on display tonight as Taylor Vause beat out a few icing calls and got a primary assist on Texas's first tally by Petersen thanks to his skating. "Our speed [matches well with Charlotte]," said Alex Chiasson, who scored a power play goal in the game. "We have four lines and defensemen that can skate. That's what we think is our biggest strength." The Stars got behind early in the first with Zac Dalpe completing a tic-tac-toe play to find twine behind Nilstorp. While not technically a power play goal, the score came just as Reilly Smith stepped onto the ice. "Those are tough," said Vause. "You work hard and get chances and then they get a power play and score one right at the end. It shows our character that we can come back." Speedsters Toby Petersen and Taylor Vause combined for the tying marker eight minutes later as Vause tracked down a puck in the corner and centered it to Petersen, who tucked it in high on the left side for the 1-1 score. The Stars would go to the room tied at one but up 13-6 on shots after twenty. The Stars added a goal each in the next two periods as they rolled four solid lines against the Checkers. Alex Chiasson scored a power play goal on a tip play in front off the initial shot of Reilly Smith. With a goal and an assist on the night, Chiasson is on a four game point streak. Texas killed a Brenden Dillon roughing minor as the second period wore on to hold their one goal lead. They ended the period with a 25-18 shots advantage. Charlotte swung the balance the other way in the third period, outshooting Texas 13-6 as they worked to even the score. Instead, it was Cody Eakin creating problems for goaltender Dan Ellis. Eakin scored his tenth of the year, despite his full face shield, off a nice dish from Alex Chiasson, who was glad to have his centerman back on the ice. "Eakin is a great leader. He doesn't talk much, but he leads by example on the ice and makes a difference." The insurance goal ended up being all the Stars needed to grab the two points from the conference leaders. Texas is now 10-0-0-0 when leading after two periods. The win moves the Stars up to 37 points and sixth place in the West, tied with Houston. Texas will face Oklahoma City in Oklahoma on New Year's Eve. 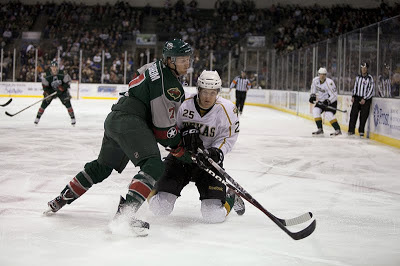 Glennie: "be able to play [next week]"
Vincour: "tough hit, he'll be out for a little while"
Sloan: "at least another week away, hasn't come along as quickly as we hoped"
The Stars walked into Cox Convention Center last night and blanked the Barons. They did it with team defense and they did it with a 5/5 penalty kill. With the win, Texas goaltender Cristopher Nilstorp stretched his shutout streak to 146:31 including the shutout win at home against San Antonio. The win also pushed Nilstorp into the top three goalies in the league by GAA. His 1.94 average is third behind the tandem of Brust and Taylor in Abbotsford, the same club Texas stole 3 points from last weekend. Defensive games rarely favor the #OKCBarons. Tonight, we are seeing this fact yet again. Shutting out the #OKCBarons is difficult. But the Stars & Nilstorp look laser focused. This isn't the same Stars team of October. It remains to be seen if Tyler Sloan will be able to go tonight. He left last night's game with an injury in the second and did not return. Hubert Labrie will slide in if so. Labrie played his only other game of the season against OKC as well. When you're the road team, it's important to stick to your game plan and play within youself until the home club gives you opportunities. 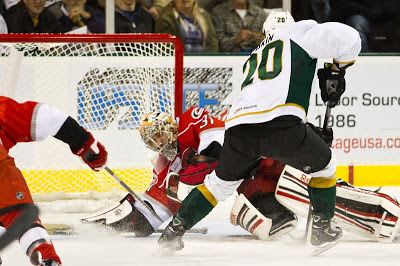 Texas did exactly that this evening in Oklahoma City, playing to a scoreless first and then putting in a goal in the second and two in the third to take the 3-0 win against the high-powered OKC Barons. Cristopher Nilstorp continued his phenomenal play with the blank sheet for the second straight game. 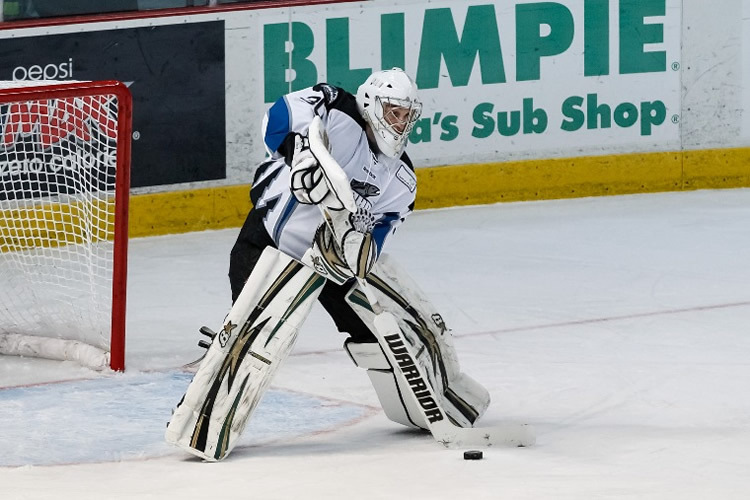 Nilstorp now has a 146:31 shutout streak going and has posted four shutouts on the year. He stopped 21 OKC shots on the night. Finally, Texas stopped five power plays from the #1 overall power play in the league. Texas skated to a scoreless first period despite outshooting the Barons 15-6 in the frame. The Stars killed two Dillon minor penalties in the first twenty as well. Reilly Smith continued his hot streak in the second on a controversial score. The rookie's eighth of the year was scored under much protest from the home club as it was very close to a high stick. Referee Geno Binda did not review the play and called the goal good for the 1-0 Texas lead. Cody Eakin and Maxime Fortunus assisted on the play. Texas and OKC were even on shots in the period at six all. In the final period, Luke Gazdic collected his first of the year on a nice sniper shot. The fourth-year forward popped his shot to the top-right corner. 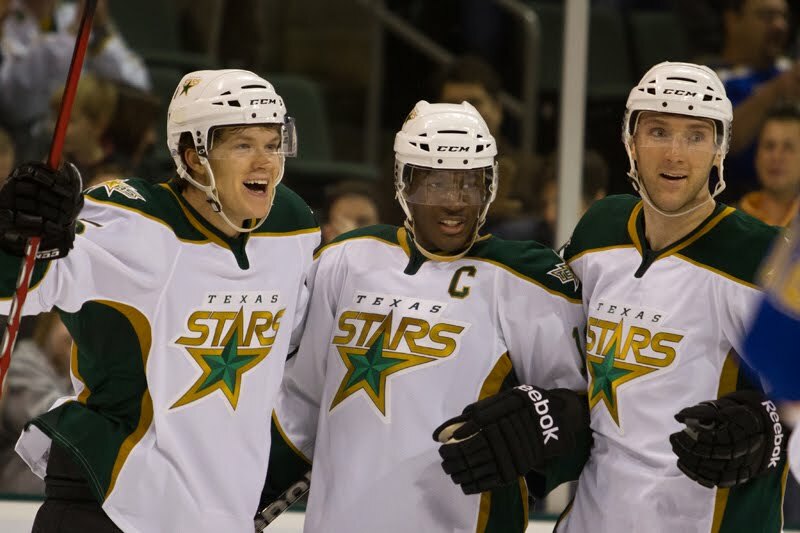 Fellow linemate Antoine Roussel had the primary assist and the captain, Fortunus, added his second of the night with the secondary assist. OKC pulled goalie Yann Danis with 2:15 left in the third period. Texas would manage an empty net goal with 44 seconds left in the game to seal the deal. Brenden Dillon picked up his third of the year on the play. Texas defenseman Tyler Sloan left in the second period with athletic trainer DJ Amadio. Sloan did not return for the third period. I am very pleased and excited to be introducing a new guest contributor to the readers this morning. 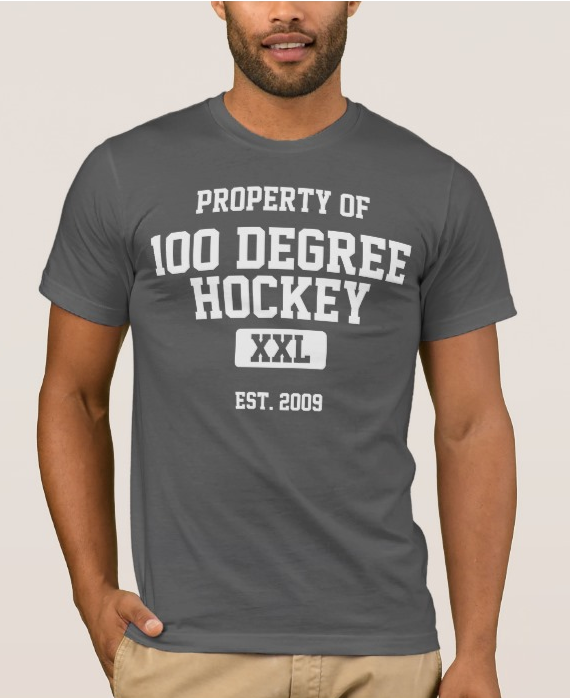 John Mulhern IV will be writing weekly reports on the Idaho Steelheads for Hundred Degree Hockey starting this week. John is an unabashedly proud Flyers fan but just so happens to live in Boise, Idaho. He spent four years as the Steelheads film assistant and, before that, five years doing color analysis for the Penn State men's hockey team. John will bring both general information on the direction of the team and the league overall and also specific information on Stars prospects spending time in the Treasure Valley. That’s right. Almost halfway through the season, the Idaho Steelheads are just one point out of the Conference and ECHL League best records. They had a tough end to their latest road trip, but a team that is 18-6-1-2 for the first 27 games of an interesting season (to say the least) is allowed to lose a game here and there throughout the season. But other than the 6-2 loss to the Ontario Reign (Manchester Monarchs)* on Saturday, the season has been a success. With new head coach Brad Ralph and a host of what should mostly be considered AHL talent, the Steelheads didn’t get off to the best start, losing their first two games in a back-to-back/home & home scenario to the Utah Grizzlies (Abbotsford Heat). However, they then went on an 11 game unbeaten in regulation streak to alleviate any doubts that 1) Brad Ralph was the right hire and 2) players were starting to buy in to his system. Over that stretch of time different players would put their stamp on things, including Tristan King. King would put up 4 goals in the Steelheads first win of the streak which was a 7-6 win over the Colorado Eagles (St. John's IceCaps). 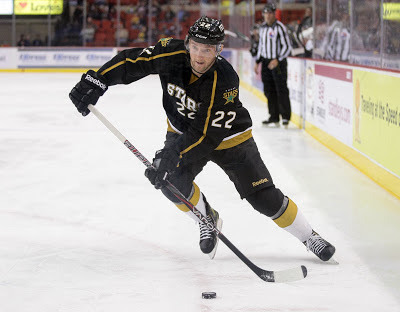 Former NHLer Adrian Foster had 4 assists, one on each of the goals. 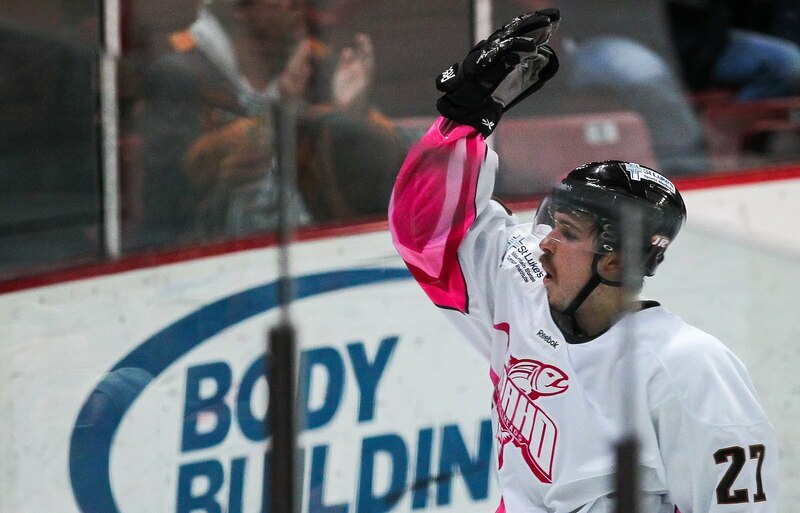 Austin Smith would get his first professional goal a few games later in a 7-2 blowout of the Ontario Reign. 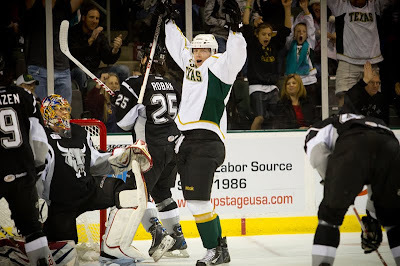 Of course not to be outdone he scored two the following night in a 6-2 win over the same Reign team. Tyler Beskorowany, who lost the first two games of the season, yielded to Josh Robinson who started the 11 game streak. What ended up happening was a goaltender rotation where Ralph would just switch between the two of them. 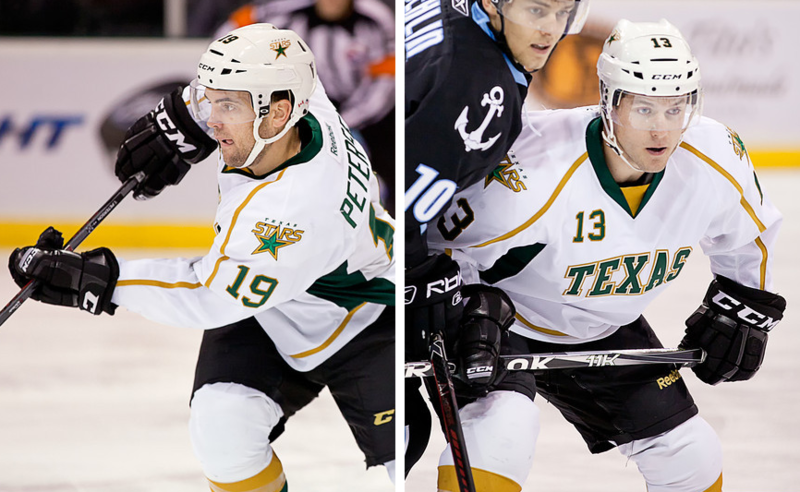 Towards the end of the streak, the Texas Stars would call up Austin Smith and Josh Robinson for a quick look to see what they had in their prospects. 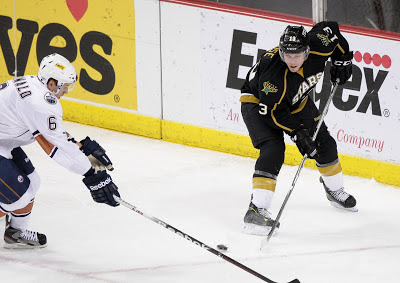 Neither would see any game action, and they were sent back within a week, but the Stars were able to get a closer look at two prospects that they didn’t get a great look at the end of last season. 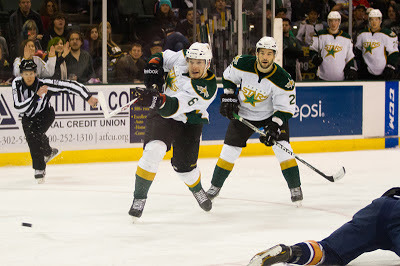 Also Hubert Labrie got a brief look up with the Texas Stars during the streak. The Steelheads would split the next handful of games, before going on an 8 game unbeaten streak that ended with Saturday’s loss to the Reign. During the streak Austin Smith had an 11 game point streak. He finally seems to be getting his legs underneath him and figuring out what he has to do to be productive at the next level. Personally, for him I think the 'next level' is the NHL. If he keeps developing and continues to work hard in his own end, I believe we are going to see him at the ultimate level. Was kept out of the lineup for a few games. I believe it was because he had to buy in a little more to Brad Ralph’s system. But recently has fit into the system better. Not a “contract guy” but spent time up in the AHL last season. Having a career year offensively for a very responsible defenseman. Playing his role very effectively. Still willing to go into the corners and do the work in the offensive zone and be the “Pest”. Steady Eddy. Nothing flashy and never really notice when he is on the ice, exactly what you want out of a defenseman. Currently sitting at plus-3. Plays a bit more with the top lines and also looks for transition opportunities. Currently has a plus-10 rating. Has yet to lose a game in regulation. What started as a pleasant surprise has turned into what is expected every night. Only real question left is how he will handle a regulation loss. In what can best be described as an up and down season Tyler has posted the teams only shutout, but has struggled to regain & maintain his form from two years ago which could have earned him Goaltender of the year, if he would have stayed in Idaho for the entire year. Here is your season recap to this point. Obviously painted this picture with some broad strokes, however, as we move toward the halfway point of the season and into the second half, stayed tuned to this spot as I’ll continue to track the progress of the Steelheads and the Texas Stars prospects. 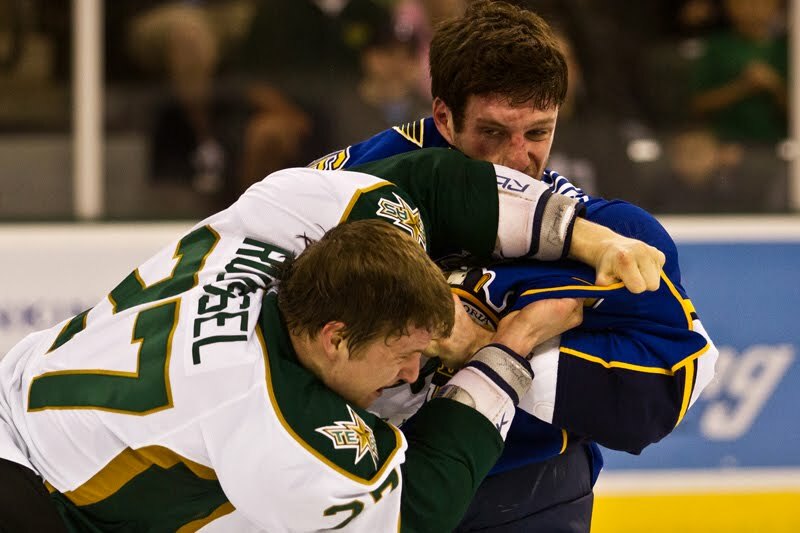 * — Similar to the Texas Stars Report on Defending Big D, we are adding the parent club of the ECHL clubs mentioned here for context. The Texas Stars announced today that they have officially re-signed Taylor Vause to a second PTO. His first tryout was set to expire after Satuday's game in Abbotsford. The rookie center has played in nine games for Texas but has yet to tally a point for the club. The second 25-game tryout will extend him until the February 15th game at Oklahoma City. At that point, Texas must sign Vause to a standard contract or release him. This was an expected re-signing based on comments from Scott White yesterday posted to the blog. 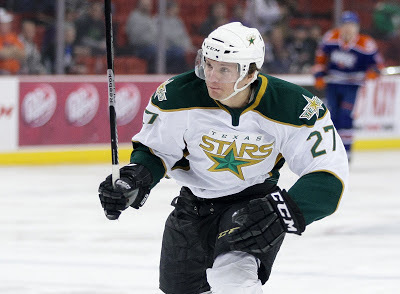 The Texas Stars, proud American Hockey League affiliate of the Dallas Stars, announced today that the club has re-signed forward Taylor Vause to a professional tryout contract. 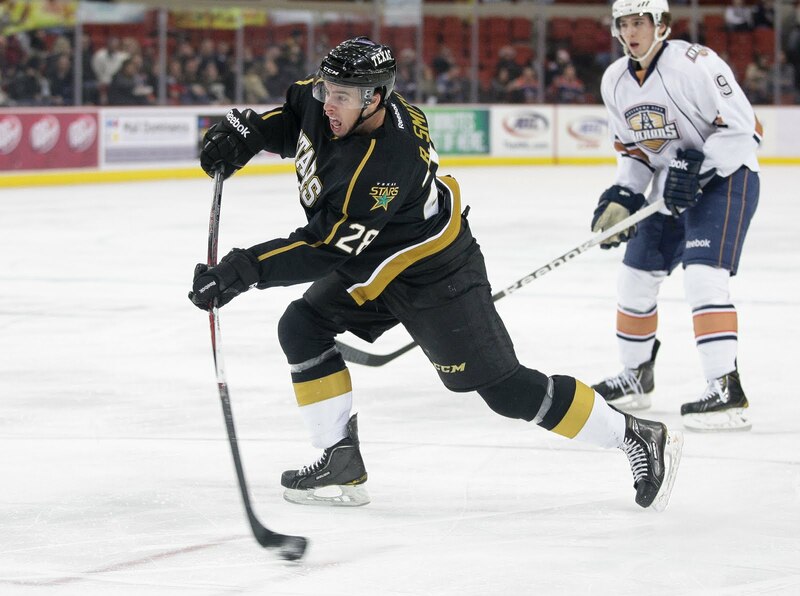 Vause, 21, originally signed a 25-game PTO with Texas at the end of training camp and has appeared in nine games so far this year. 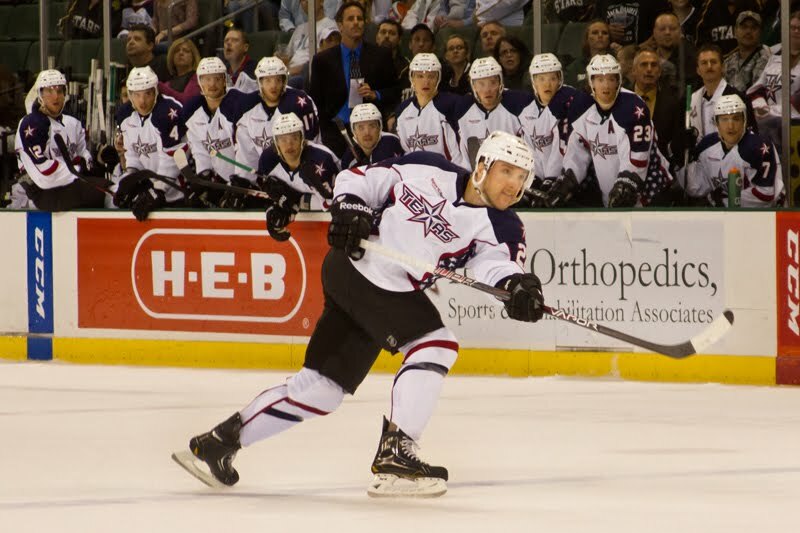 The Calgary, Alberta native made his professional and AHL debut with the Stars last season on March 19, 2012 at home against the Abbotsford Heat, while on an amateur tryout (ATO). Vause has played in 14 career AHL games for Texas and has two points (1 goal, 1 assist) and two penalty minutes. 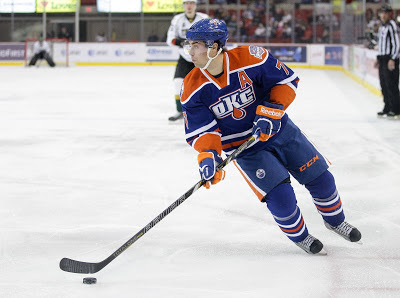 During 2011-12, his final junior season, he was the captain of the Swift Current Broncos of the Western Hockey League, where he led the team in goals (37), assists (46), and points (83). With the long layoff, here are some things that are bouncing around my head. The Stars are really on a tear. That much is obvious. Just one month ago on November 10th, Texas was #15 in the West. Now they stand at #6. Texas is 9-3-2-1 in that span, a .700 points percentage. Number six is great, but it might not last. The Stars don't play this week until Friday. Lake Erie and OKC have games during that layoff (and not against each other). Wins by those clubs could push Texas to eighth by Friday. In conversations about who would be lost if the lockout ended tomorrow, a few names always pop up. Cody Eakin is at the top of the list, followed shortly by Tomas Vincour and Brenden Dillon. Why not Colton Sceviour? In just sixteen games, he has 6-7-13 for a .81 Pts/Gm rating. That's the best on the team. Tomas Vincour has been in something of a funk recently, moving down to the fourth line over the past few games. Could Sceviour potentially usurp "Vincour's" spot in the NHL upon the resumption of NHL hockey? No word today from practice on Alex Chiasson. The Stars will travel to Seattle on Thursday. Chiasson will have time to recover, if he can, before that next game. Austin Smith is likely to join the team in Abbotsford if Chiasson can't go. 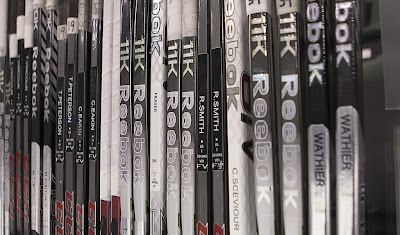 Without Smith, the Stars would have no healthy scratches. 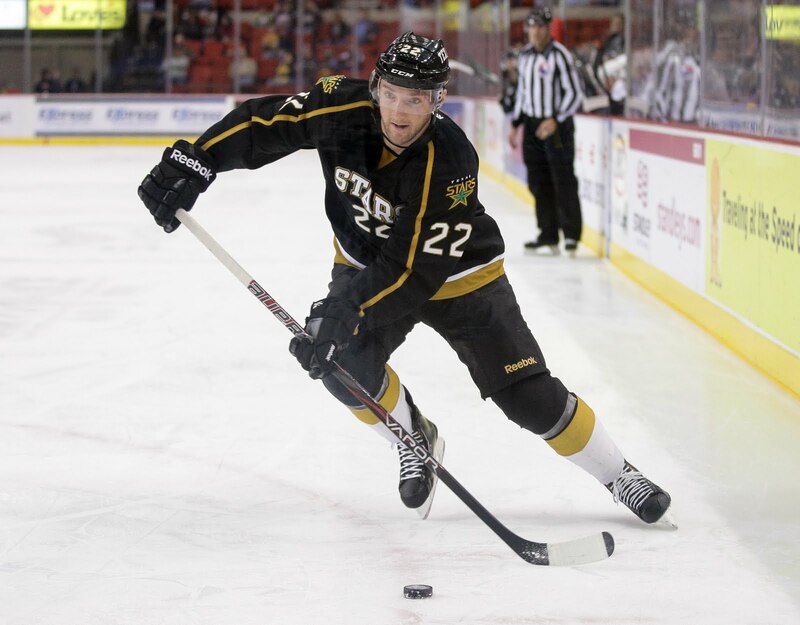 Other Stars forwards in Idaho include Mathieu Tousignant. 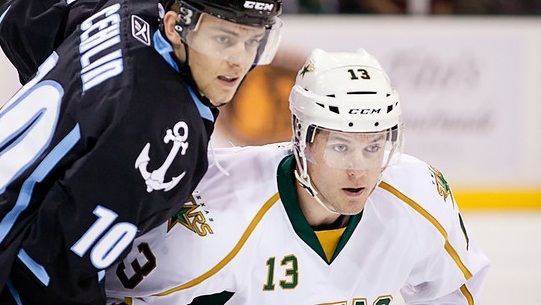 Don't look now, but San Antonio is hot on the heels of the Texas Stars. Thanks to a 4-0 week by their goaltender, Jacob Markstrom, the Rampage are just four points behind Texas and two behind OKC. Also, Texas is ahead of OKC, who are out of the playoffs as of today. Scoring goals is fun, but defense is important, too. OKC allows three per game on average, 13th worst in the league. I've mentioned it before in a gameday preview, but Charlotte is really having a time. After jumping out of the gate, they are 3-6-0-1 in their last ten. They still lead the South Division, but they only have a one point lead over both Texas and Houston. With the right combination of losses, Texas would hold the #3 spot in the Western Conference by the end of the night Friday.